MEAA | Online webinar: The Business End – To Freelance or Not to Freelance? 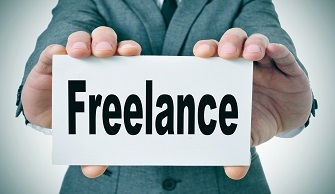 Online webinar: The Business End - To Freelance or Not to Freelance? Freelancing sounds like a dream come true, but is it? Find out everything you need to know about becoming a freelancer, what is involved both financially and mentally, and what sort of risks you may face and how to mitigate them. You will learn if it is the right thing for you, how to find work, set yourself up, market your services and position yourself, and how to make sure you succeed. This is an online webinar and the content will be recorded. Participants who register who are not able to attend on the day will have access to the recording after the event. How to look after yourself first with savings, tax and super. This webinar will be recorded. If you cannot join the webcast on the night, purchasing a ticket will give you access to the recording. Presented by Marisa Wikramanayake. Marisa is a freelance journalist, editor and writer, first published at 17, recently longlisted for the Kill Your Darlings Unpublished Manuscript Award and the inaugural KSP -Varuna Foundation Fellow. They have edited award winning work and are currently writing a crime fiction novel. They have covered science, arts and politics and worked in print, online, TV and radio news, most recently writing about fashion and trucks and also volunteer as an elected MEAA delegate.